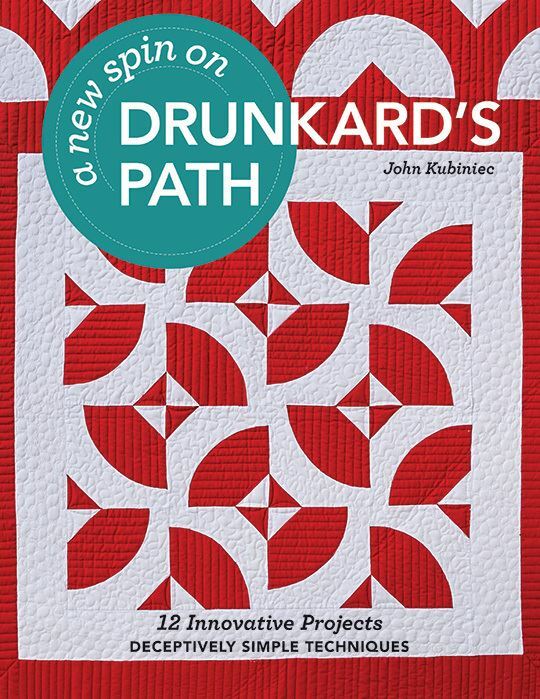 Debby Brown Quilts: A New Spin on Drunkard's Path Giveaway! Blue and green bowties on a black/white background. Love the solid colors, but your scrap bin ( and mine too) needs to be depleted so a controlled scrappy one would help with that issue. My 1st Craftsy Class back in 2012 was my 1st attempt at curves and I liked to do them. Pastels would be very nice. I don't think I would be good at curses but would love to win and try. Looks like lots of fun. Scrappy Looks happy and you can use all those gorgeous scrap fabrics. Thanks for giveaway, hope to win because there is a curves quilt in my future. My favorite color combination is blue and green. But I also love the modern quilt fabrics that are being produced (those funny mid century modern colors). I am sure what ever you choose will be brilliant! Your bow ties came out great--I especially love nightfall! I love this version of a Drunkards Path block! It would be awesome in dots!! Christmas colors, with light background. Red/white thin stripes, little polka dots,etc, along with subtle Christmas fabrics would be cute. Like the quilt on the cover of John's book. For your Bowtie quilt, how about pink, purple, lime green, and gray for the color scheme? Love to read about how you would go about quilting after the piecing. I have to say I do love the red and white color way. and use them all the time! Happy Sewing and thanks for the chance to win! John's Bowtie quilt is my favorite too! When I make it, I'll use an assortment of "boy" colors like blues, greens, and yellows with a bit of brown. I have a neighbor that is expecting a boy early next year, so this quilt would be for him! Oh you should use a solid background and all "dot" fabrics. I'm saving dot fabric for an EPP project one day. Thanks for a chance to win. Fingers crossed as I'd love to try this pattern. I like dots! And stripes! Always use what you like. I like bright so that would be me, reds would be great. Love this book. white dots on red would be perfect. I like red and grey. How about reds with that black fabric with the white polka dots! I love what scraps and colors you already have going - the only thing i would lose would be the busier fabric with the different blues. i love how the teal 'pops' with the black and white dots and the brown wavy fabric. the one with the white bkgd and teal stripes is nice! you could add a bit of coral or yellow to good effect. I think you should carry on with what you started - B&W/brights - all colours of the rainbow! Basically what John has done but brighter and scrappier. I'd like to do the Bowties quilt with my 30s repros ... so many options! Thank you for the giveaway! I think the dots would look fantastic! I would love to lots of dots. How about all lines cause the pattern is curved. Be opposing? I like the look of the Bowties quilt. Dark backgrounds but than combined with different shades of one colour, maybe blue? Stripes or other patterns in the bow-tie and solids in the background. I would love to see the Bowtie quilt in polka dots with black as the constant. Bowties is also my favourite of the designs I have seen so far in this book. I just love the red and white scheme, so that would be my vote. Thanks for the tip on the 28mm rotary cutter - good idea, now where is mine?! Thanks for the opportunity to win! I'd love to see a Bowtie quilt in polka dots, scrappy! Not sure what to use for the neutral. I think this would be great in scrappy blues & greens. Two of my favorite types of fabrics are reds and polka dots. How about a quilt using lots of reds and lots of polka dots? Maybe black and white polka dots with a variety of red prints? Sounds like fun to me! Dots in all sorts of sizes and colors would be super fun! Scrappy is the way to go! Controlled scrappy would be my suggestion...but, that is just me. I think whatever direction you choose, the quilt will be lovely. I love seeing bow tie quilts in retro fabrics. Then again a modern take with a grey background and bright colours would be nice too. I'm looking forward to seeing what you choose. I definitely think the bowties pattern needs a bold color scheme. 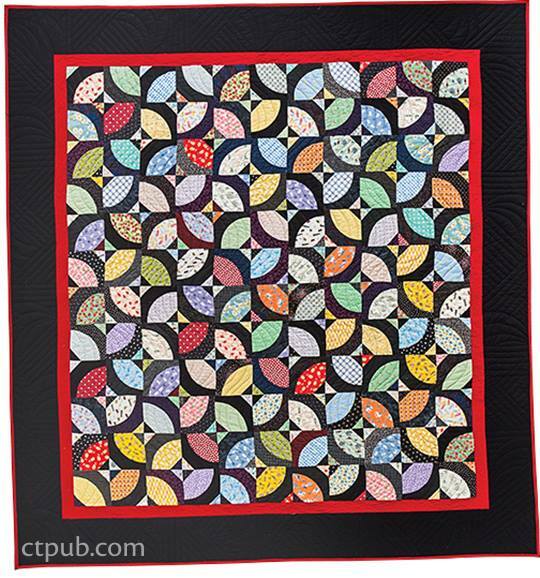 The tight turns of black add a lot of movement and keep the focal point moving throughout the quilt. Reds and golds,dark blues and maybe some forest green. Best of luck and thanks for the chance to win!